Every year we spend hours trawling the web look for some of the best gifts for car enthusiasts. We've found something to suit all budgets, from simple, cheap stocking fillers through to expensive gifts most people can only dream of. Click through our gallery below to see the top 50, or visit our Christmas homepage here. More or less everyone experienced Lego as a child – and for many the obsession with little plastic bricks never stopped. Lego knows this – which is why it has a range of kits pitched at more mature fans, including models of famous architecture and – of course – classic cars, including the Mini. 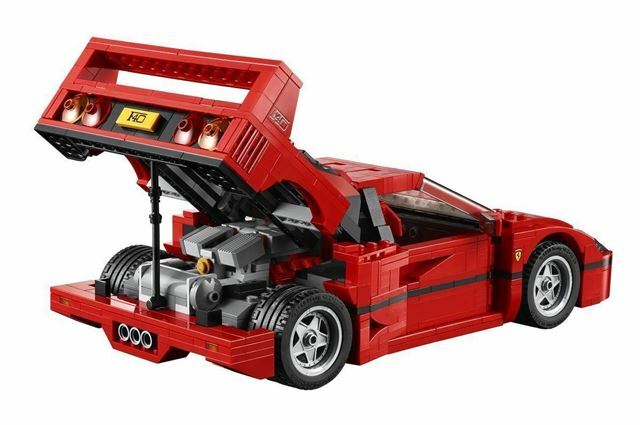 One of the new kits for 2015 is the Ferrari F40, which has pop up lights, a detailed interior, an opening engine cover and a smartly recreated V8 engine. It’s not an easy set to put together – so it’s probably not ideal for younger car lovers – but for bigger (adult) children it’s great.